Last year I met Sarah and Martin when they decided to celebrate their wedding In Italy. They fell in love with Relais Corte Guastalla, a beautiful 16th century Italian country house, located just a short distance from stunning Lake Garda and romantic Verona . They decided to organize their party here and they chose an intimate, charming country church for the ceremony. The floral backdrop was a mix of romantic and country chic. White, green and peach were use as the colour scheme for the event. Sarah was passionate about white peony so I used this as the main flower together with an array of graceful and rustic flowers. A big thank you to Cristiana a very efficient wedding planner who coordinated the whole day magnificently. 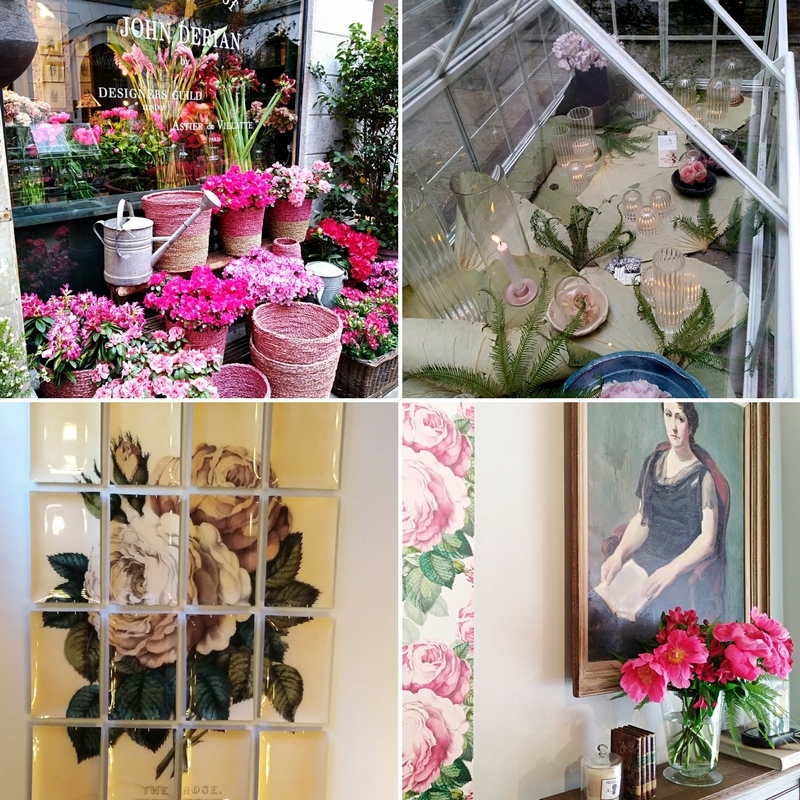 In July I flew to Manchester for a few days to meet floral designer Fiona who runs Firenza Floral Designer (she was listed by the Telegraph as one of the 20 top florist in the country). I’ve been following her work and I like very much her style, so I decided to have a one to one workshop. It was a beautiful sunny day when I met Fiona surrounded by her dogs in the beautiful Yorkshire countryside. We chatted in her romantic, peaceful garden and it was hugely inspirational to compare our styles. We both discovered that our main source of inspiration came from nature. Als she showed me how to create one of her unique bouquets, I felt elated at designing something so different to my usual style. With the same flowers we both made completely different creations. Over lunch in the sunny garden I got to know Holly an incredible photographer who took some beautiful photos of the day. What do you do to find inspiration? At the end of winter, just before the approach of spring I was invited to do a shoo in a medieval castle. When I received the moodboard about this shoot I started by choosing the colour. Burgundy was my immediate choice for its elegance, timeless style and versatility. This shade always gives a deep and dramatic note to each creation. Starting with the bridal bouquet, I paired the burgundy to different shades of pink in order to highlight the romantic style of the bridal gown. I wanted to create a luxurious and opulent bouquet where different textures, petal shapes and flowers would add an ethereal and flowing style. For the table decoration I picked flowers with amazing tones of burgundy: ranunculus, spellbinding anemones and dramatic tulips. To give a sparkling light I added some peach tone flowers. Antique candleholders and small vases with candles added a magical touch to the whole evening. I’ve just come back from a short stay in Tuscany where I visited the beautiful ‘Podere Puscina Flowers’ owned by 3 sisters. A family run business in the very heart of Tuscany where Teresa, Mara and Laura grow their own local flowers respecting the biodiversity and nature. I was greeted by Kira, their friendly dog and an incredible landscape. Walking through the fields was like being part of an impressionist painting. The colours of flowers, the bright blue sky, the magical wood at the end of the valley, together with the golden wheat fields were truly inspirational. The one that captured my attention the most was the poppy. I’ve never seen so many different colours and varieties. I really enjoyed my wonderful stay at Puscina an enchanted place where 3 families live and work in harmony with nature. Every April Milan opens its doors to the design week and events of “Fuorisalone”. For me the Fuorisalone has became an absolute must. In this edition two elements that immediately caught my attention were: flowers and the combination between modern and antique. As soon as I arrived I went straight to see the Danish brand “Hay” which was hosted at Palazzo Clerici. The Nordic style was perfectly integrated in the magnificent neoclassical rooms decorated with marble and golden stuccos. The floral arrangements added a cosy atmosphere to the grandeur of the palace. 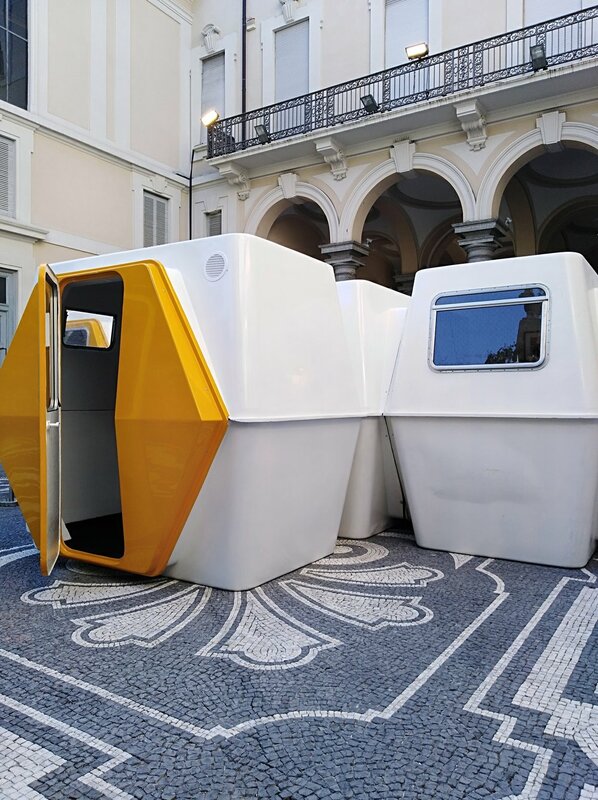 Moving on I stopped at the baroque Palazzo Litta, that held the installation “Temple in the forest” designed by the London studio of Asif Kahn. Next I was taken by surprise by the pop up store that Raw had created especially for the Fuorisalone. The new collection of floral fabric born from the collaboration of the amercan brand John Derian and the English Designer Guild, had a very romantic feel. Intense pink flowers styled by “Flo” were surrounded by candles to set the scene. Arriving in Piazza Duomo I went to see Tiffany’s shop windows. 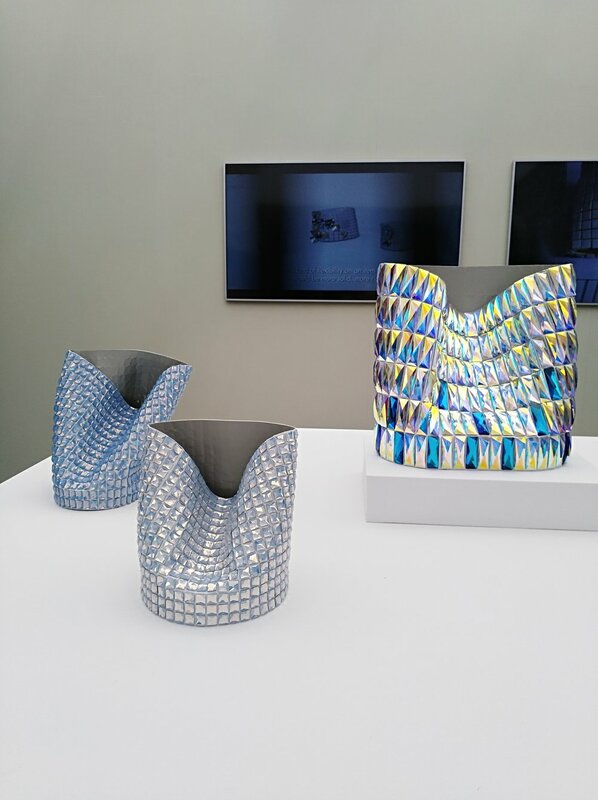 For this occasion Tiffany had asked 5 artists to create a special installation in a silver greenhouse. When I stepped inside I was immediately enchanted by a spectacular curtain of flowers displayed before me. In the afternoon there were 2 palaces to visit. In Palazzo Serbelloni’s courtyard there was the “Swarosky palace”. Upon entering I marveled at the effect of the glittering dancing lights everywhere. 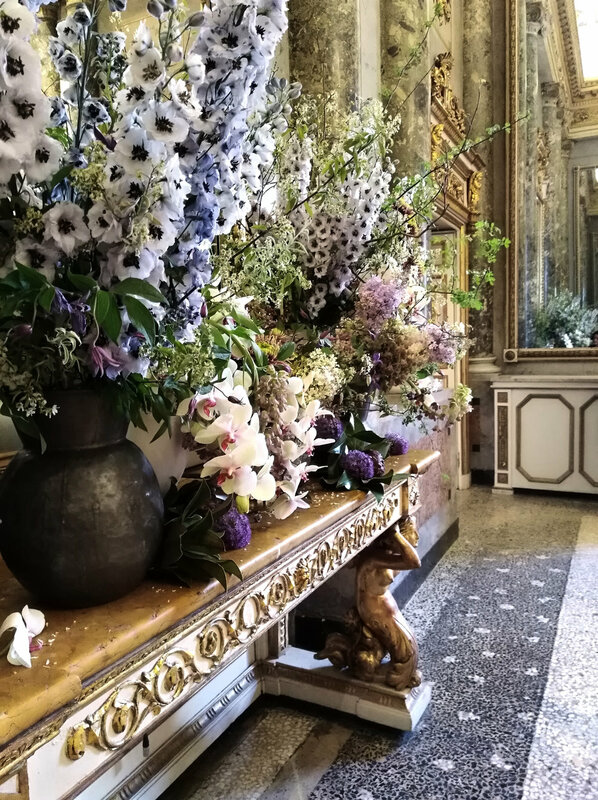 On the first floor of Palazzo Serbelloni I was blown away by the incredible and stunning floral arrangements created by Christian Tortu for the Danish brand Gubi. The choice of colours, flowers and natural elements from the vegetable world were perfectly matched with the awesome rooms and furniture. To end this amazing day I visited the installation created for Louis Vitton at Palazzo Bocconi. Just inside the courtyard was the incredible Hexacube House “Bubble house” designed by the Greek designer Goerge Candilllis in 1970. Stepping inside the palace, at the top of a majestic staircase I was welcomed by a cascade of 10.000 paper flowers. 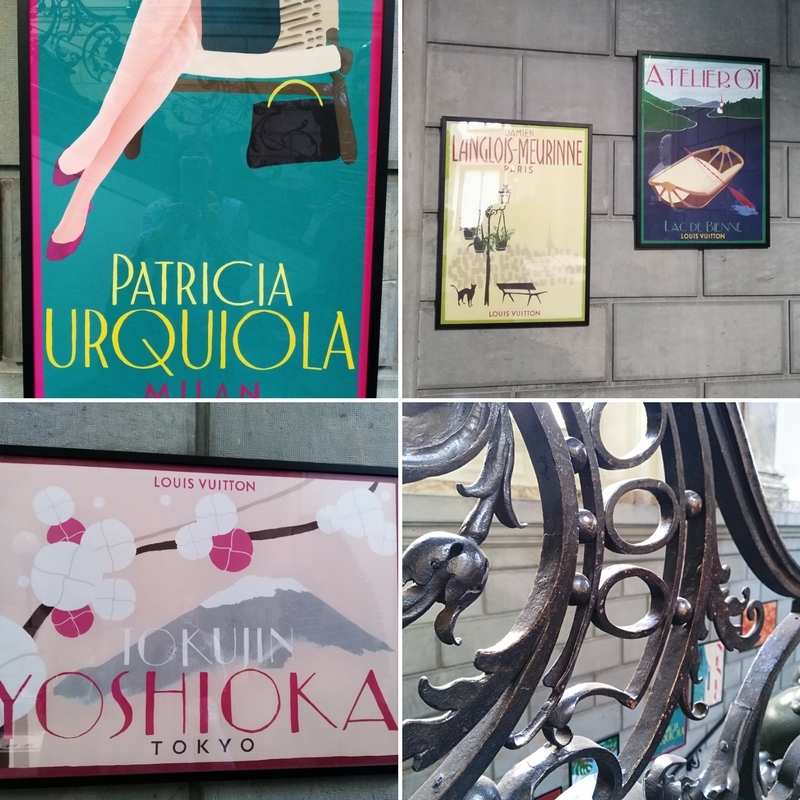 Did you have any chance to visit the Fuori salone? Let me know what surprised you most! I’ve been always attracted to stationary, paper and drawings and that’s the reason why I want to introduce you to a group of talented young girls who goes by the name of “This is Fairground”. They saw the light 6 months ago when Rebecca, Jesna and Petra decided to turn their love for illustrations into an adventure. 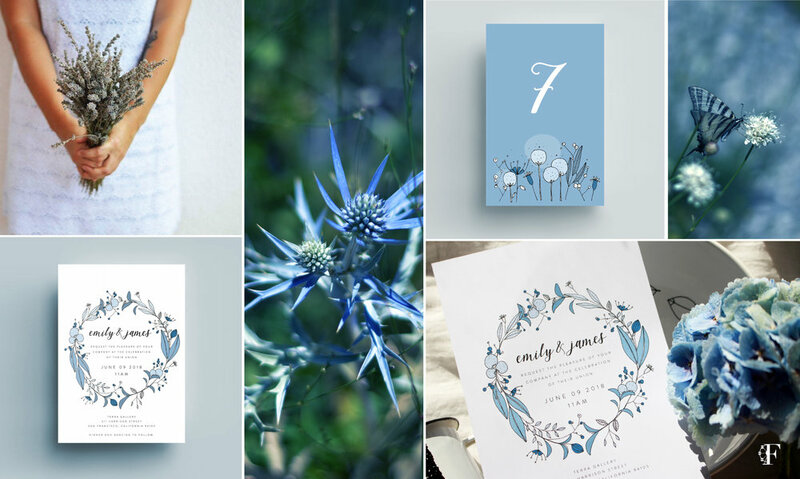 They deal with every aspect of wedding stationery, birthday invitations and every type of special occasion, from the inspirational moodboards right down to thank you cards. All their graphic work is inspired by their passions: music, art, video, cinema and travel. When I first read their “about page” I was very intrigued with how they described their work:” We adore every kind of paper. We mostly love creating wonderful tales tailor made for you, so that you can keep them as a reminder of your happiest moment… We create magic. We take you back to the fairground”. In their work nature, flowers and colours are essential and are perfectly matched with the way I create with flowers. In December we started with a Christmas card. They immediately understood what I wanted to transmit: joy, light heartedness and magic. In January I finally found a way to mix photos and illustrations. I talked about this project with them and so the drawings on my wedding page became reality. And what about you? Do you prefer images or illustrations? Let me know! 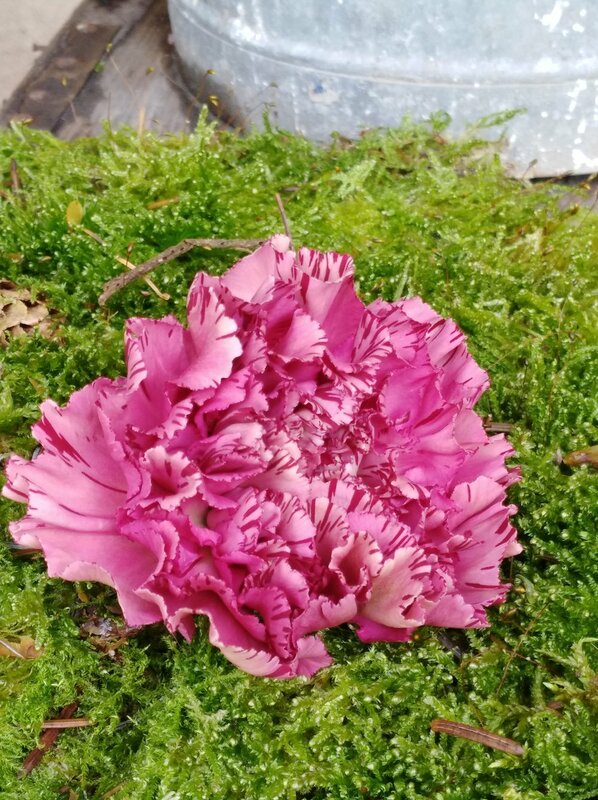 Today I would like to write about carnation, a flower that is very often underestimated without being able to stand up for itself. These opinions come from the past when the floral arrangements were very basic or because here in Italy the custom is to use them on sad occasions. First of all nowadays there is an incredible variety of colours which always leave me speechless. Since the start of my career I’ve discovered numerous carnation varieties. The second reason is that carnations keep you company for quite a long time, nearly a week or more. A tip they don’t like much water in the vase and the stems are quite fragile. Thirdly carnations can be found throughout the year and they are fairly cheap. For these reasons they are ideal to complement any floral arrangements. And finally they have a wonderful delicate scent and are very soft to touch. A bunch of white carnations looks like whipped cream. Their consistency and the movement of the petals remind me of sumptuous velvet. Don’t forget that in flower language they mean pure love. Have you ever thought about giving them or decorating your home with them? Searching for an idea for an original and stylish wedding? A picnic wedding could be just the thing! 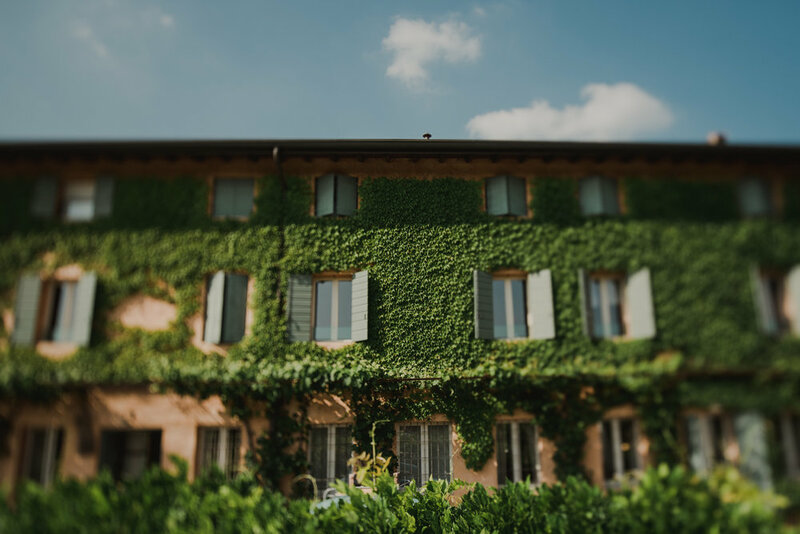 Imagine a beautiful 16th century Italian country house, Relais Corte Guastalla, surrounded by Custoza vineyards, just a short distance from stunning Lake Garda and romantic Verona, the city of Romeo and Juliet and eternal love. An exclusive picnic wedding in the shade of majestic trees, amidst bouquets of peonies, roses, lisianthius and many other hand-selected spectacular flowers. Only the finest china, crystal and original French silverware will be used to make your special day absolutely perfect! Our team of highly qualified professionals will help you create your unique picnic wedding with an unforgettable magical atmosphere in a stylish setting. 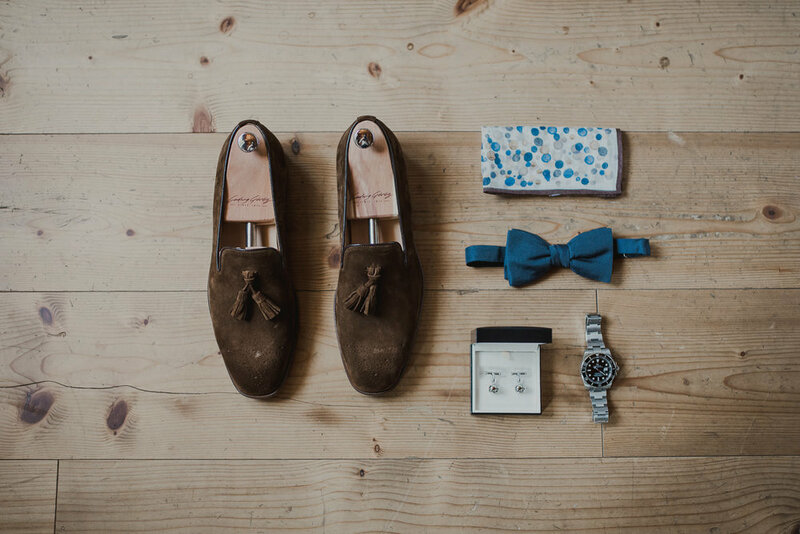 We create made-to-measure packages according to your special requests. 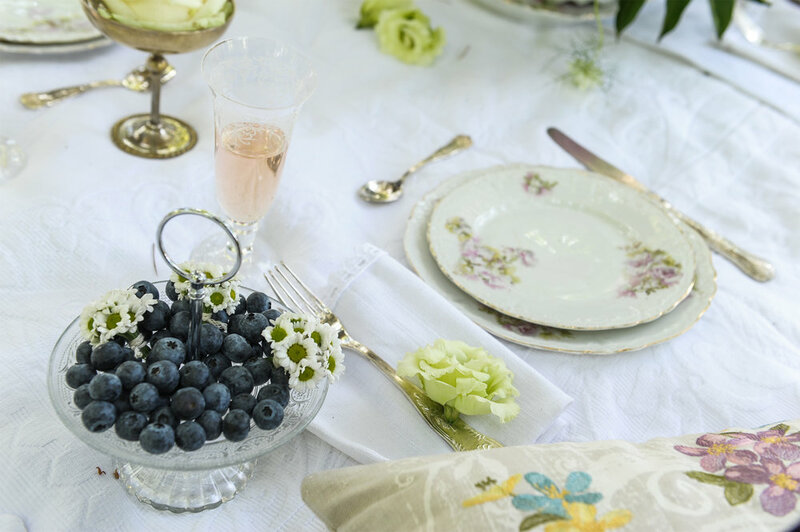 A country chic picnic is an unusual way to celebrate your wedding reception, a birthday or a bridal shower. I’d been thinking about this ideas for quite a long time. Then when I met Orietta at Relais Corte Guastalla I knew that I’d found the perfect location. So a couple of days later I decided to organize an inspirational picnic shoot with: Orietta, Cristiana, Manuela an Marco. Orietta and her husband who welcomed us in their fabulous park and villa. Manuela Piccoli a romantic interior designer who’s passionate about shabby chic! She spends most of her time at antique markets in France searching for unique pieces. She turned the park into a magical setting with wrought iron lanterns, floral patterned armchairs and soft mauve velvet cushions. 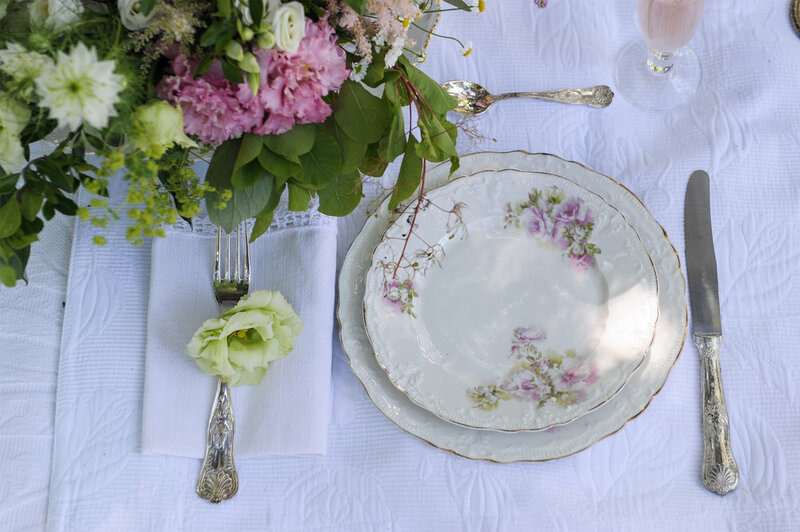 She laid out a white linen tablecloth on the grass with floral bone china dishes, French silver cutlery and crystal glasses. Marco Bravi and his son always manage to capture incredible emotional moments. Cristiana, a very capable wedding planner coordinated the whole day magnificently. My job was to organize the flowers. In keeping with the country theme I chose delicate wild flowers paired with luxurious peonies, elegant roses together with olive, rosemary and seasonal greenery. The mood was: fresh and sparkling, romantic and elegant with a retro feel about it. These were some of the behind the scenes moments. Check my blog tomorrow for the picnic package details. Thanks to Gaiadi for the stationary! Last week on a grey cloudy morning I met Manuela Piccoli to create an unusual and inspirational Christmas corner. As soon as I arrived Manuela took me to her deposit full of antiques, a real treat for my eyes. It was like opening a door and take a glimpse into the past. I discovered an amazing 18th century dresser where I created a magical winter wonderland. I used branches of rosehip, silver and green cypress, pine, moss, a magnificent Hellebore and masses of glowing candles. To make the atmosphere even cozier I added a green velvet armchair and a pink one, a crystal chandelier and two white wrought iron lanterns. A sunlit corner filled with plants was a perfect location for the Christmas table. I wanted to create a romantic and vintage look. So we used an embroidered white tablecloth, mismatched wrought iron with soft white wollen white blankets. 19th century Sheffield dinner plates from 900, fine bone china dishes, antique silver French cutlery, Liberty green glasses and small 50’s style bowls adorned the table. For the flowers I chose the different shades of intense pink. This tone is perfect for its versatility and meaning. A few days back I read an article about pink which signifies kindness, romanticism and gratitude. I daresay “perfect” for this festive period. Use this palette to surprise your guests this year! The flowers were: Ranunculus, Carnation, Cymbiudim, different types of berries from light pink to dark violet. Don’t forget to add seasonal greenery! Hope you are getting into the Christmas spirit. Send me some photos of your seasonal decorations! There was a unique vibe during my last intensive floral work-shop in October. The special ingredients that made these two days so incredible were: an amazing group of curious and focused women: Natascia, Alessia, Nadia, Giorgia, Caterina, Silvia and Elena. Each one with her own dreams, passions, but above all very determined to share this experience. The wonderfully welcoming Relais Corte Guastalla location set amongst the Custoza vineyard was the perfect backdrop for our week-end. I chose the vibrant autumn palette of : the bordeaux chrysanthemum, the chocolate of the Cosmos, the ruby red of the hydrangea and the more delicate tones of pastel pink of the perfumed O’Hara roses. At the beginning of the course I gave a small floral patterned notebook to each partecipant. Here they could note down any tips that they’d picked up during the week-end. This was my fourth intensive floral workshop and I must say it was a really magical experience for us all. Here are some special words from Natascia from Parma:”Wood of Ceylon, powerful, crisp, exciting, magical, special and unique. This was how Tania welcomed us on the first morning. The morning light shimmering through the windows of the villa, candles flickering, a folded apron on the table, and a unique patterned notebook. A small branch of red apples laid out to remind us that nature is a work of art, and all our flowers displayed magnificently on the mantelpiece. A special thanks to Elena, who captured those two days beautifully with her camera. Hi again, hope you had a good summer I’d a splendid one. As the leaves are starting to fall I thought I’d tell you about a wonderful autumn wedding I did last year. Paula and Adam are a lovely couple who live in London and wanted to celebrate their union in Northern Italy. They chose the romantic location of Valpolicella amidst the vineyards. Paula had a very clear idea of the style, the hues and the atmosphere that she wanted for their wedding. Being passionate about flowers herself it was important that they played an important role on their special day. 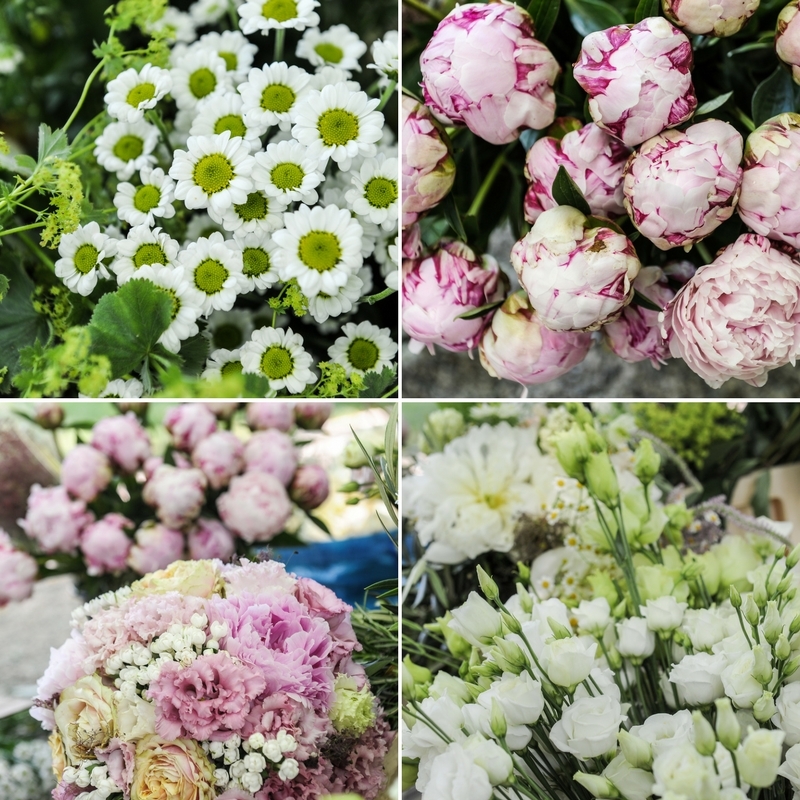 Constance Spry the English floral designer was a source of inspiration for Paula. This innovative floral designer was behind the creation for Elizabeth II’s coronation and many other royal events. She was a very strong, independent woman, passionate about flowers who brought flowers to the masses. Nowadays her elegant and natural style is very much in vogue and she wrote many books about floral design. Going back to Paula’s wedding she chose a palette made up of different shades of bordeaux, burgundy, green and cream. A touch of light peach was added to give light and to create and edgy contrast. The chocolate hue of her moodboard conveyed elegance, smoothness and consistency. Foliage of different shades together with the unique burgundy violet Cotinus. And last but not least black grapes and pomegranates were placed on each table for good luck. Paula’s gown was simple in style and light golding colour, a perfect background for her beautiful, big bridal bouquet. The curvaceous branches of green rosehip and cosmos gave a lightness and flow to it. As you can see from the photos the final result was stunning"! Take a look for yourself and let me know what you think. Some photos are from Pinterest and some are mine. It’s been a few months since Marco Bravi gave me the photos of the last intensive floral workshop which I held in February. In the meantime I’ve restyled my website, a hard but rewarding task and I’ve launched a new series of floral workshop focused on wedding and event design. When I saw the images for the first time I was left speechless. It was incredible what Marco managed to capture through his lens. Small details about the location were brought to light, the concentration, attention and joy on the faces of the participants. It was wonderful to see each participant opening up to this new world and growing in knowledge. Being spring, I was spoiled for choice by the variety of species and colours of the flowers. From tulips to ranunculus, hyacinths, anemones right down to the intense blue iris. If you would like to know more about my intensive workshop click on the link for more information. Before leaving to enjoy the images I would like to thank all the attendees, Chiara, Federica, Bianca, Martina, Samantha, Sara, Caterina, Arianna e Cinzia, Marco for the amazing photos, and Giulia the owner of Villa La Valverde for her wonderful hospitality. A hazy September day was the perfect backdrop for this shoot. Just a few words about the flowers and colours that I used, for the rest I’ll let Sotiris’s gorgeous photos speak for themselves. Colours: the choice of the colour is the first thing to decide when planning floral decorations. I pinpointed two main colours: pink and green in different tones. Then I added a touch of burgundy and blue/violet to add intensity and give an edgy contrast to the decorations. Flowers: the texture of the petals and the shape of the buds are very important. It’s like with fabrics: there are different weights, weaves and materials. I’m always trying to create unusual combinations. For this shoot the delicate petals of Eustoma were set against the heavier consistency of the blue/violet Viburnum berries. The silk smoothness of the roses were perfectly matched to the lace transparency of the Amni Visnaga. Not to mention the Cosmos (a seasonal flower found from the end of September to mid October) whose corolla seems to have been drawn by a child. The intense velvet bordeaux petals together with its slender stems add lightness and gentle elegance to the scene. A huge thank to all the team who worked on this amazing shoot. The photographs have since been published in various on line magazines. Today I’m going to tell you all about my morning with Laura the owner of “The Unsual Garden” where I had the pleasure of discovering new varieties of hellebore. I met Laura in September in Mantua where she was showing off her recent crop of tulip, daffodil and iris bulbs. I immediately bought some colorful tulips and daffodil and so now I can’t wait to see them bloom. In the last few months I’ve been keeping in touch with her in order to know when the hellebore was ready to blossom. Usually they start blossoming in December but this year it was delayed due to lack of rain and the intense cold. Finally the message arrived and so I jumped into the car and went to see her. Twenty years ago Laura and two families bought a piece of land where they built their homes. They left the garden unfenced so as to enjoy the countryside at its best. On clear days they have an amazing view over lake Garda and the nearby mountains and it’s a haven of peace and tranquility. In spite of the greyish day, the garden had a magical atmosphere. I was immediately attracted to an impressive tree boasting tiny red apples and to delicate bunches of Viburnum dawn foresi. Laura was the perfect host accompanying me to explore her garden, pointing out the different varieties of hellebore scattered all over the garden. I even discovered some uncommon ones such as: hellebore picotee with delicate burgundy veining, a polka dot variety, a doubled petal one and even a blue one (I couldn’t resist buying one of the blue ones and I can’t wait to see it bloom). Having spend a wonderful morning with Laura I’m anxious to return in April when the garden will be in full bloom. Just a word about caring for your hellebore. It’s a hardy perennial, rustic plant and starts blooming at the beginning of winter until April. This plant likes half shade, and in April when it finishes blossoming it’s essential to keep it in the shade until autumn. In the Uk and northern America it‘s also known as the Christmas rose as it was traditionally used as a Christmas decoration. The most common variety is the Helleborus niger with its pure white flowers. Hope you’re keeping busy in the garden as spring is on its way! In the winter flower gallery let us spare some time to better get acquainted with anemones. You’ll learn to love this graceful flower little by little. Anemones are so unpretentious and shy, always huddled together with their blossoms tightly closed as though they’re hiding a secret. Once you buy them you need to arm yourself with plenty of patience. They will slowly reveal themselves like dancers doing pirouettes in light voile skirts. As the blossoms open up, they finally show off their dramatic black centre surrounded by bright coloured petals. We are spoilt for choice with all the variety of colours. From pure white, ideal for a winter bouquet to vivid red, perfect for Christmas and St. Valentine’s, right down to timeless elegant burgundy. I came across these photos of anemones and I was fascinated by them. This shots were taken by Jessica a Californian floral designer, who revealed that anemones are her favourite flowers. I think she managed to capture all their beauty, what do you think? Which are your favourite winter flower? Let me know! To create an elegant Christmas table I was inspired by this blue tableware from the designer store Froh & Sinn in Zurich. I suggest a welcome floral arrangement in a light blue vase if possible, 3 bouquets of white roses for your centrepiece and a small bouquet for each guest placed on a blue napkin. Add a cozy atmosphere lots of snow and candlelight for some true festive spirit. Start with 2 slightly overlapping big branches, add some silver cypress at different heights and finish with a bunch of berries on the front. To add some sparkle thread a string of led lights among the branches. First remove all the leaves from each stem and create your bouquet using the criss-cross technique (have a look at the video in the link). Finally cover all the stems with small branches of spruce that you prepared earlier and tie with a ribbon. If you need some more tips for decorating your Christmas table please send me an e-mail, I’ll be happy to answer you. I look forward to seeing your creations! If you want to brush up on your flower arranging skills or even give a workshop as a gift, don’t hesitate to contact me. Remember my workshops are open to everyone no matter what your level, just the only essential ingredient is passion! Don’t forget my next workshop will be just before St. Valentine to help you create a special bouquet (see link for details). I wish you all a wonderful Christmas and see you in January 2017! During the first week-end in July I organized a floral intensive workshop. Two days fully immersed in the floral world. The main objective was to give the theoretical and practical know how to get started in the art of floral design. The course was held in the amazing Villa La Valverde a country house set in the nearby Verona countryside. While I was preparing the course and deciding which flowers to use I realized that the essential element was colour. 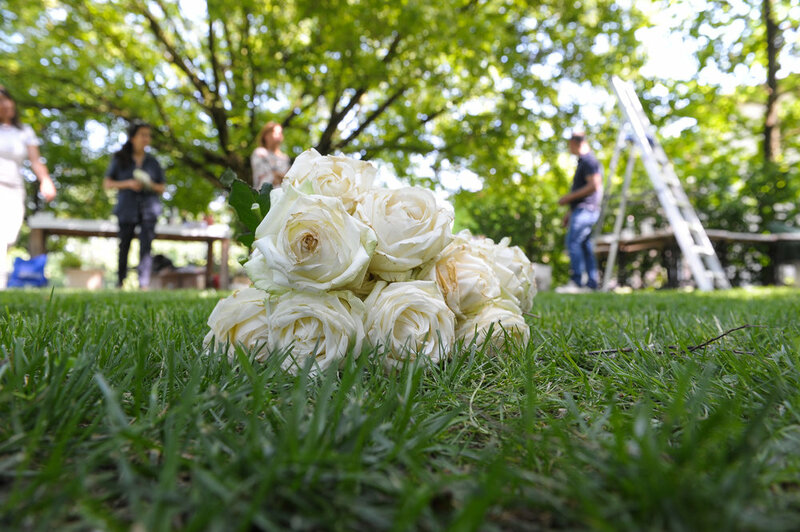 On Saturday the floral arrangements were: a classical, white bouquet of roses and a floral garden composition. While doing the classical one the group learned the basic criss-cross technique useful for the creation of all kinds of bouquets. For the floral arrangement in sponge I focused on different shades of pink. On Sunday we started with the creation of a natural, yet romantic bouquet and a floral arrangement with flowers, fruit and vegetables. For the natural bouquet I chose flowers which aren’t often used together with contrasting colours to give it an edge. The floral arrangement in sponge was made using different shapes and materials styled together with the flowers. It always amazes me how each of us expresses ourselves through flowers. There can be flowers that we love more, colours which don’t resonate with us, materials and shapes with which we are more comfortable. The whole journey is a continuous discovery and also a chance to get out of our comfort zone. Over the two days while chatting over a coffee we got to know each other better and shared our ideas. At the end of the course, everyone proudly took home not only their beautiful arrangements but a wealth of information. Throughout this intensive experience, I also learned a lot. It was a pleasure and a privilege to accompany these passionate and motivated people trough this magical and marvelous world. An intimate wedding on a bright May day. Matanja and Anton, a young German couple decided to get married here in Verona and, asked me to do all the floral arrangements. A blissful carefree wedding in the company of a few close friends and relatives. Beforehand Matanja and I had a nice chat about style, flowers and colours. The couple wanted a very small and romantic wedding. They also wanted it to be informal but with a special attention to detail. Matanja adored all shades of punk from the most dramtic tone to the most delicate one. A dash of mauve and a touch of light green completed here moodboard. May with its huge variety of flowers was the perfect month to fulfil her wish. Peonies in two shades of pink took pride of place in the arrangement. These were complemented by syringa lills with its elegant hint of mauve, lavender, ligh green viburnum, depp pink alstilbe, light pink eustoma and an outstanding purple scabiosa. It was a striking but well balanced combination. The flowers had to make every place special and unforgettable:from the romatic villa, Juliet’s tomb whre the ceremony was taking place and the Piazza for the aperitifs. In keeping with the wedding I created all the arrangements in a natural yet elegant style. The pale pink of Matanja’s short lace dress was the perfect contrast to deep purple of her head wreath and bouquet. Upon my arrival at the villa I was immediately immerses in a relaxed and happy atmosphere. Everybody was getting ready maidt laughter and music. At 10 o’colock the couple and their guests strolled down the road to Juliet’s tomb. After a short moving ceremony the couple walked through to the intimate courtyard where tey were greeted with bubbles and joy. 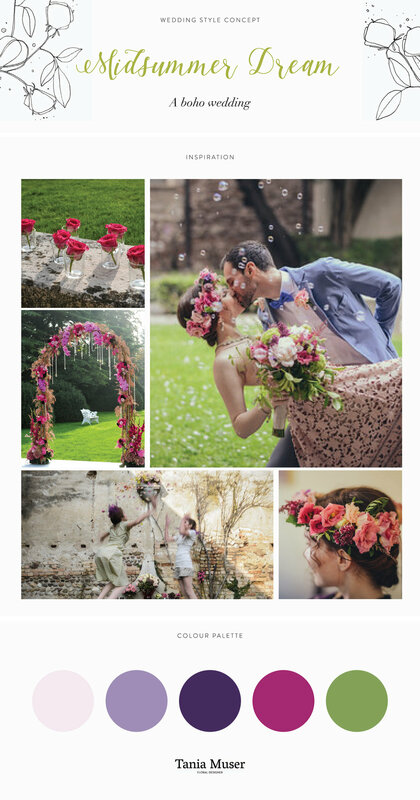 Verona is the perfect backdrop for a dream wedding. Its locations include stunning Ponte Pietra, lively Piazza delle Erbe and the elegant Giusti’s garden to name but a few. A special thenks to Sergio Sarnicola for his wonderful pictures. Looking at the gardens so full of blooming flowers I thought about making a simple centre-piece with what nature offers us. I decided to create the arrangement working with just one colour and its different shades and consistencies. The hue that I chose was the glorious red of my geraniums. You’re probably asking why I started with the colour and not the flowers. The reason being it narrows down the variety available. It’s essential to stick to one shade or a colour scheme when choosing the flowers you’re going to use. Keeping in mind this rule allows us the freedom to select the flowers and focus on the variety of shades, shapes and texture. I finally decided to match the geraniums with some oleander flowers and roses all with different hues of red. Yesterday while I was on my way home, a blooming blackberry bush caught my eye. The graceful and tiny flowers seemed to have being drawn by children and are a pleasant reminder that summer is nearly here. I decided to use these to add lightness and frivolity to the centre-piece. Fruit is also very useful when decorating a table. Shiny red cherries were the perfect choice that echoed the essence of summer. For movement and texture I added a sprig of rosemary, vine with tiny green grapes and some airy fennel bloom. I use 3 small vases for this floral arrangement. Why 3? As the Latin saying goes “everything that comes in 3 is perfect”; a floral arrangement composed with 3 looks more natural and less forced than an even-numbered collection. Don’t be afraid to play around with the symmetry and asymmetry. Remember to use a simple vase if your composition is of a bold colour. 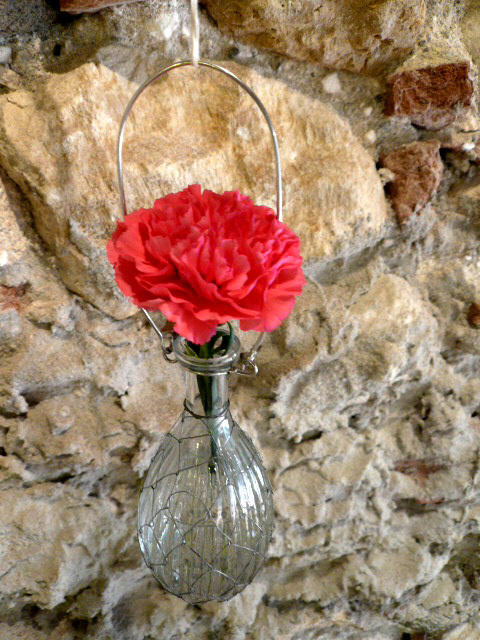 For this centre-piece I used simple glass vases.